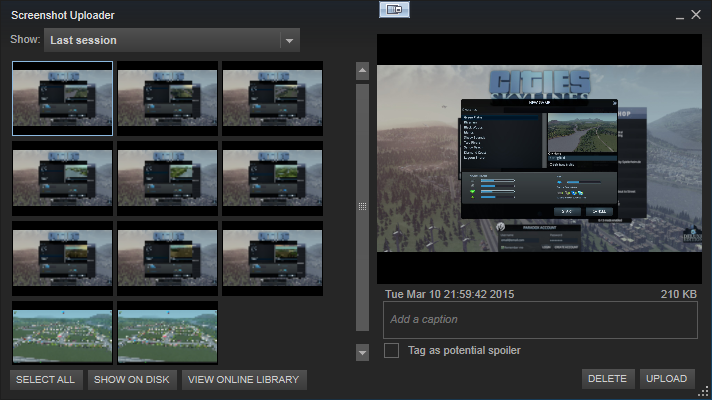 Screenshots in Cities:Skylines are handled through Steam. The hotkey is F12 by default although you can change that if desired. Go to the "In-Game" tab. 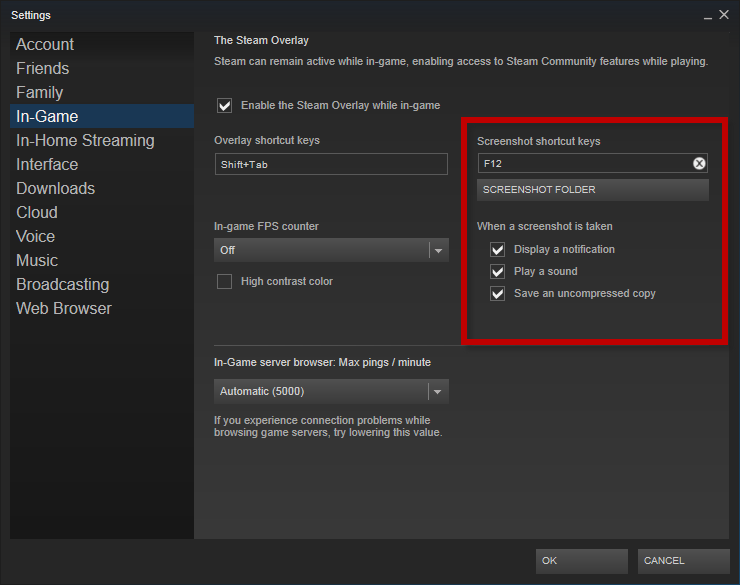 Make sure that "Enable the Steam Overlay while in-game" is checked off. The Screenshot shortcut key can be customized, as well as the screenshot folder. By default, it will save everything as a jpg. If you'd like a higher quality png, check off the box that says "Save an uncompressed copy". Note: If you change the save location, you'll need to restart Steam for the changes to take effect. There you can see a preview of each of your screenshots or click on the "Show on Disk" button to view it in windows explorer.